Killing Time is a true story of human resilience and how one man survived a horrific nightmare. His survival defied all the odds. For how does a man cope when he is consumed with a terrible legacy of hatred and bitterness? His own consuming anger threatened to destroy a human part of him that prison life had somehow failed to obliterate. Arrested and interrogated for a killing he knew nothing about, Noel Fellowes was cast into a British prison for another man's murder. 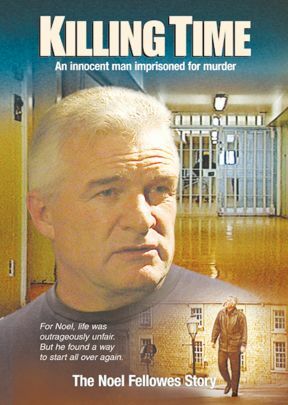 Noel was an ex-policeman so he was despised by both the prison guards and fellow prisoners and was repeatedly beaten mercilessly by the other inmates. Only God could heal this broken man. And God did bring him a new life, as an enterprising reporter uncovered evidence that proved his innocence, and a woman who believed in him helped him establish a new life. Here is a true heart-wrenching story of a man wrongly imprisoned and how he learned to forgive in spite of the horrible injustice done to him.